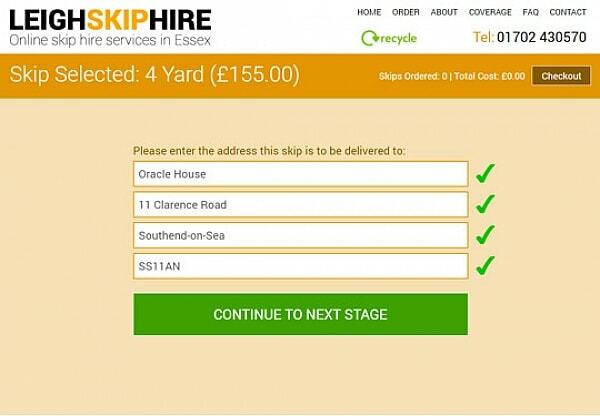 Red already had an effective website for his skip hire business but in such a competitive area of the market, felt that it was time for a make over. When we explained that we could build him an online booking system, Red realised that this was his chance to get an edge over his main competitors. Red's current logo looked dated and was not suitable for a modern website. We produced a clean and simple, no-nonsense logo that better reflected the subject matter and improved the visual impact. We realised that for laypeople it could be difficult to know how big a skip was needed for a particular job. Red is a stand up guy, so we added a friendly, cartoon-style 'Red' to welcome clients to the business and to create a visual point of reference when placed beside skips of varying sizes. 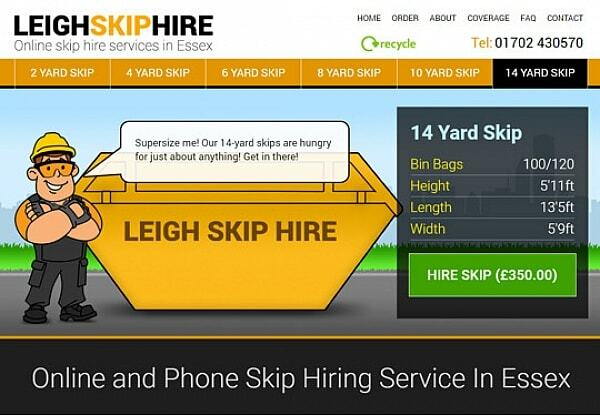 With a touch of earth-shaking animation and a speech bubble that allowed Red to quite literally describe what size jobs his skips were suitable for, the customer could be left in no doubt. These graphics also created a highly positive and memorable identity which could run across his printed advertisments too. 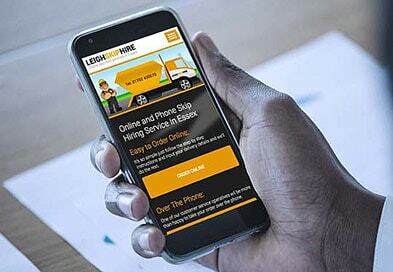 Many of Red's clients are very busy builders and so need an ordering system that is ultra-quick and easy to use. Custom-building the user interface allowed us to strip the options down to the bare necessities, not only making the system particularly simple to use but also making it very lightweight and much faster than off-the-shelf systems, especially when implemented on smaller devices such as smartphones, meaning that customers can now order their skips quickly, whenever and wherever they want. 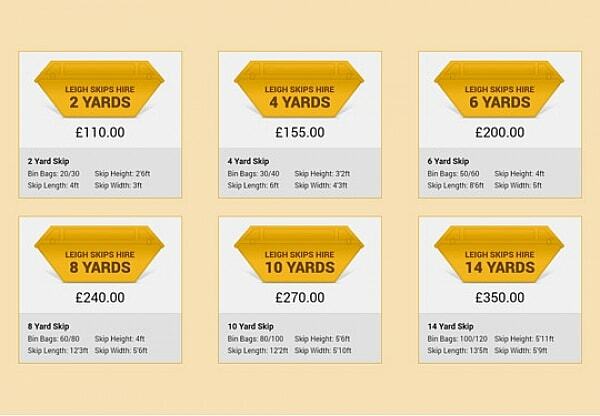 The first online order came through within ten minutes of launching the website and, only a few weeks later, Red had to ask us to temporarily turn off the ordering system while he sourced more skips to fulfil the demand! Don't worry – it's back on now.